While walking the trails at a park one morning, I came across this peculiar hole in a tree. My imagination instinctively put an owl in it; however, as I sketched out my idea, I loved the contrast of a red cardinal, that I had once seen on that same trail, but it is more common to see squirrels in trees. 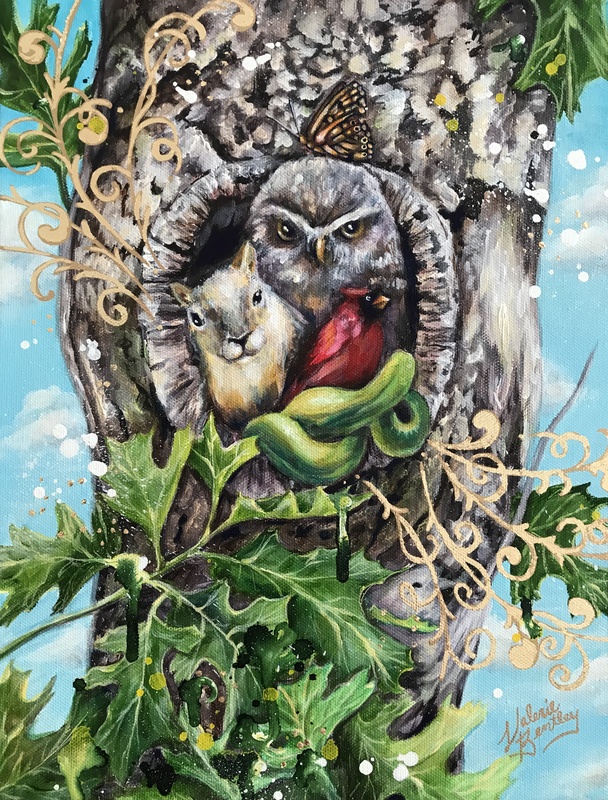 Thus evolved the concept of a family of opposing animals finding peace and sanctuary in a hollow tree.